Most growth stage companies in the B2B space make meaningful investments in multiple industry conferences or webinars across multiple vertical prospect types each year. This is a common request in the Write2Market healthcare practice. One client needs to address the provider, payer and pharmaceutical manufacturer verticals. Two others sell into or need to influence physicians, hospitals, payers and patients. 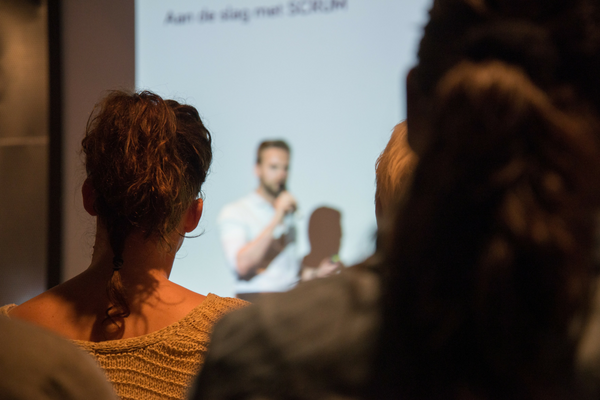 Even if they’re not evenly spaced in the 12 month calendar, maximizing your investment in three to four priority conferences or webinars can guide your sales and marketing efforts year-round. 1. Crystalize topline messaging for what is clearly a priority audience. If you are investing time and treasure on the registration, travel and possibly sponsorship on an industry event, it better be a priority audience. “What do we want to share” should be the question the team asks at least three months in advance of every event. Bring the sales and marketing teams together (team leads + anyone attending) to formulate, affirm and adjust top messages and proof points to ensure you are all aligned with current industry status, prospect challenges, and how you meet them. 2. Develop assets useful to the audience in advance, onsite and beyond. Of course you will have your backdrop and your business cards at the booth, but what else do you want a prospect to takeaway? Ensure your one pagers and trifolds are up-to-date (taking a quarterly approach to three to four target audiences ensures these are fresh annually). But what can you share in advance? Scheduling meetings well in advance of the event date is one way top marketing and sales team members make the most out of conferences. How do you get your prospects to say yes to your calendar invite? What’s in the email campaign that you’re sending them over the four to six weeks in advance of the show? Equally important, what do you most want to share with them onsite or afterwards? In the W2M healthcare practice, we try to generate content that serves as many purposes or “type opportunities” as possible. Can your top messages, to-dos, insights and supporting data generate a series of contributed articles? Can you get those published in advance of the event? Are you planning to produce an insights blog or contributed article following the show? Can you distill that content into an ebook to share in your show follow-up? Those are questions we ask ourselves and our clients when letting top industry events and audiences guide quarterly tactics and assignments. 3. Generate new prospects before the event, not just onsite. Your CRM should give you a good indication on prospective, if not likely, conference attendees and your onsite interactions should always generate new ones. But if you look a quarter or more ahead you can request a registration list in advance. You will need to put this on your calendar as a to-do when the time is right, and the odds on acquiring it from the organizer increases with participation and sponsorship levels, but how do you really put that list to work? Those lists rarely, if ever, come with email addresses. They will, however, provide enough detail to warrant ‘mining’ them to find those email addresses. How? That’s an iterative search process for which most intrepid marketers will have their own process. I know I have my own, but it varies widely based on what my initial search for that person (including the likely URL for their email address) generates. Ten newly discovered email addresses in which you are confident per hour from a conference registration list is an excellent rate. We recently added 17 highly targeted, “right title” contacts and email addresses in the insurer space on behalf of one of the W2M healthcare practice clients. The activity and process itself will seem a slog for some, but I actually find it a stimulating, rewarding, value-based challenge. Could you use some amplification in the value derived from your investment in industry conferences? Contact us today.